Apparently, Wal-Mart has discontinued its policy of aggressively pursuing prosecution of those who steal even the cheapest of goods from the store. Now, you have to steal things worth at least $25 before the long arm of the Wal sets about trying to shut you down for good the way they would, say, a unionized store. 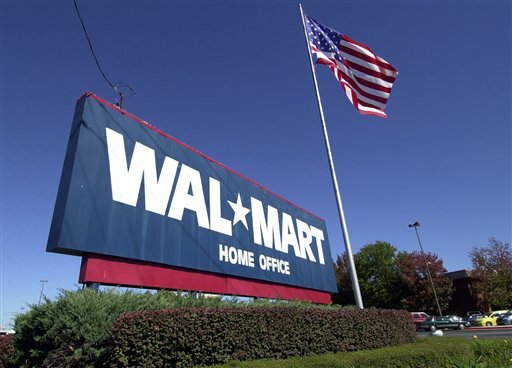 Some of Wal-Mart’s critics are pointing to this new leniency on Wal-Mart’s part – a policy which matches what most of the industry was doing anyway – as another example of what’s wrong with the store. Seems to me there’s a better example of what’s wrong with Wal-Mart: the fact that until a few months ago, it was aggressively pursuing the prosecution of people who shoplifted socks. The old policy, as the article notes, put a disproprotionate and needless strain on government resources, just as Wal-Mart’s refusal to adequately ensure its workers does – even as Wal-Mart provides critical support to the conservative project of drowning government in a bathtub. It evinced the same punitive callousness that Wal-Mart’s comfort with locking its employees inside the building does. And the company’s comparatively vigilant defense of its property against shoplifting customers still contrasts tellingly with its lesser attempts to protect its customers against violent crime. So it’s good news, if only marginally so, to see Wal-Mart tempering its response to one-time offenders who try to abscond illegally with candy bars. Bad news is, that just leaves that much more energy to rain down illegal punishments on workers trying to exercise their legal rights. That union-busting is a high-stakes crime, and one who costs – not just to Wal-Mart workers, but to all of us living under a Wal-Mart economy – make stealing a pair of socks seem trivial. Not that that’s hard to do. This entry was tagged anti-, crime, economy, labor, law, service sector, Wal-Mart. Bookmark the permalink.